Posted July 23, 2018 by Josette Farrell in Features. What colour are you? Are you an autumn or spring type? Do you react in different ways to different colours? Plant colours do have an effect on my overall well-being as I am quite sure that they have on many of your moods. I am quite uncomfortable with red and orange flowering plants around me but I find whites, creams and greens particularly restful. 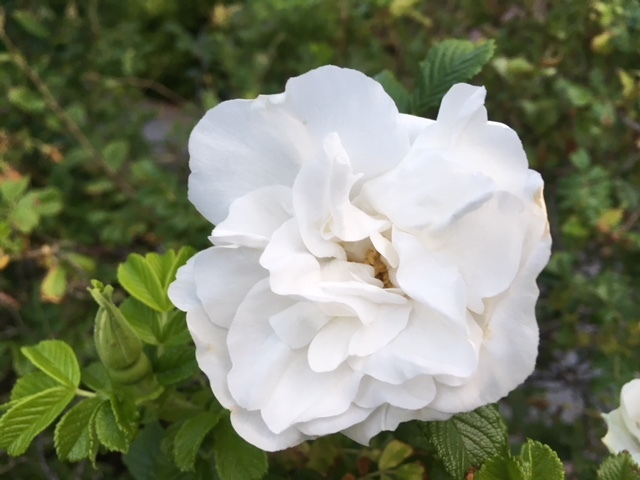 Having now revealed my love for the colour white I feel that I must introduce to my favourites and explain the effect that white has on me as a gardener. White flowers have a cooling effect on hot summer days while on the other hand they light up a dull winter days. When other colour flowers tend to vanish in the darkness, whites light up the night and gleam in the moonlight. 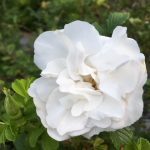 It is worth noting that white can be present in every month of the year, for example appearing as beacons in dreary January gardens and as punctuation marks in colour-filled July gardens. Whites range from pure white to creams to greyish shades. They are often tinted with pink, blue or green. The spectrum of white colours is indeed very wide, with the result that plantings with such colours are never monotonous. 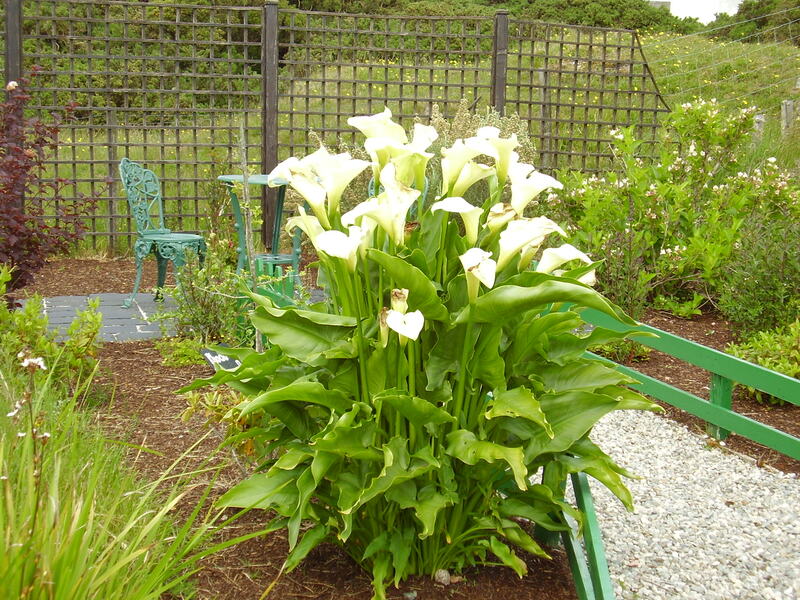 White flowers tend to be used to separate plants with clashing flower colours and are often planted in tandem with grey and silver foliage. Worthy of a home in any garden is the Phlox paniculata Snow Queen’ as it lingers with pure white flowers until early autumn, long after other strong coloured flowers have retreated. Most country gardens are perfumed with the regal lily, Lilium regale. 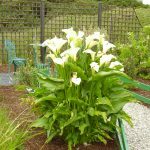 Its tall, fragrant white trumpet shaped flowers have religious connotations and often adorn church alters. No garden should be without the beauty of African Daisies,Osteospernum. Once you have seen them open their flowers to the summer sun you will be hooked for life. They come in a wide range of colours but of course my favourites are the white forms. I also get great flowering value from the Malva alba plants in my own garden. They are prolific flowering perennial plants. The white or pale pink forms of Astilbe ardensii are particularly effective near ponds and streams. Their featherlike flowers evoke feelings of restfulness. If your preference is for white flowering shrubs, I would advise you to make room in your garden for Viburnum plicatum ‘Maresii’ and Hydrangea ‘Annabelle’. I know that you will get great pleasure from their beauty. For tall plants with scent and colour value I love the white lilac bush Syringa Mme. Lemoine and the Philadelphus Belle Etoile. I think no perfume can surpass that of the low growing Sarcacocca humilis. Icy but not cold would be an apt description of the climbing plant combination of Rosa Iceberg and Rosa Felecite Perpetua. Veering away from flowers but staying with the colour white, I would highly recommend the snow white barked Betula utilis jacquemontii tree. To my mind this majestic tree is a living piece of sculpture. 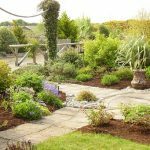 Plant what you yourself are comfortable with and create a garden environment that puts you at ease. It will be your garden, your refuge. Colour IT Beautiful! Spray potato plants in order to prevent blight.